I love colored cakes, just for the way they look, especially the red velvet cake recipe. The vibrant red color of the cake just calls out for a bite. I tried out one of these red velvet cake recipes from scratch for my vegan guests and it even fooled the staunch meat lovers. Add the wet ingredients to the well and mix well until combined. Add small amounts so that you can avoid the lumps. Divide the cake batter in half and pour each half in the prepared cake pans. Once a toothpick inserted in the middle of the cake comes out clean, the cake is done. Beat on high speed until you get a light and fluffy icing. You can add more milk if necessary. Place another cake it and cover with frosting on all sides. Carrot cake recipe is healthy and nutritious and I often bake it for tea parties and office gatherings. However if, like me, you also feel that cutting up the cake and serving it in plates is a somewhat difficult job then baking muffins is a simple solution. 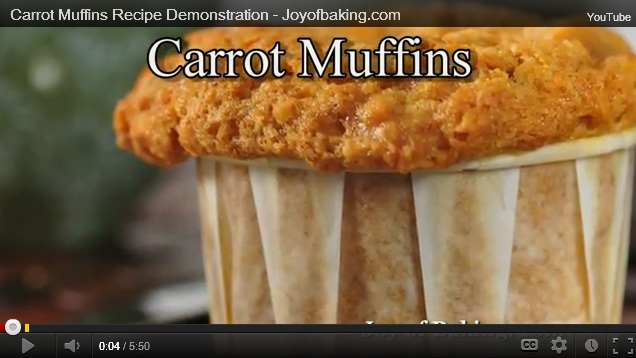 Next time try out this healthy carrot cake recipe in muffin molds. – Preheat the oven to 400F. – Beat the eggs and sugar until fluffy and light in color and the sugar dissolves. – Add the oil and beat well to get a smooth emulsion. – In a dry bowl, mix the flour, baking soda, baking powder, cinnamon, all spice and ground flour. – Add the dry ingredients to the wet ingredients and blend well. – Stir in the grated carrots and apple. – Add in the walnuts. 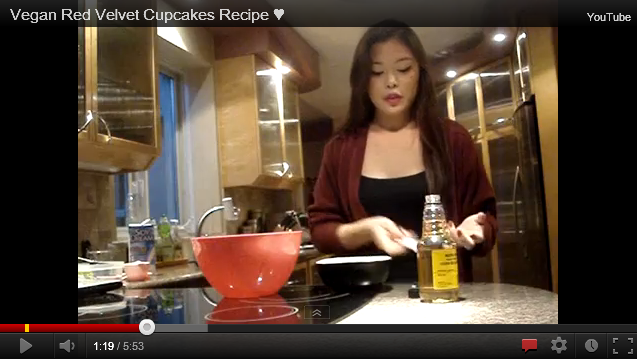 – This recipe will make 24 standard size muffins. – Grease the muffin molds. – Pour the batter in the muffin molds. Fill only 3/4 way up to leave some space for the muffins to rise. – Bake in the preheated oven for 20-25 minutes until firm on top. – Remove and cool before frosting or serving. – You can serve these muffins with butter, jam or peanut butter. – You can replace the flour with a mix of whole wheat flour, oat flour and barn. – You can also add some oats to the mix or sprinkle some oats on the top. – Grate the lemons to get a tablespoon of lemon peel. – Juice the two lemons. – Mix 1 tablespoon of lemon peel and the juice of two lemons with the powdered sugar. – Drizzle the icing over the muffins and let it set for some time before serving. – Whisk the orange juice, lemon juice and sugar until light and fluffy. – When the muffins come out of the oven, stab them with a skewer all over. – Pour the sugar glaze all over the muffins quickly. – Let the muffins cool before serving to allow the cake to absorb the glaze. Sometimes you have to be very careful when baking cakes or preparing anything for children because they are very prone to allergies. Also, you need to take care that whatever recipe you choose is healthy and well-loved. That’s why carrot cake recipe is always a best choice. Here is one of my favorite healthy carrot cake recipe that uses fresh carrots and is as healthy as it can get. – Thinly slice the carrots and take about 2 1/2 cups of carrots with 1 cup plus 2 tablespoons of apple juice. – Bring the mix to a boil, cover the pan with a lid and let it simmer for 15-20 minutes. – Put the mix in a blender and blend until smooth. – Set aside to cool completely before using. – Beat the egg whites into soft peaks. – In a bowl, take the eggs and the rest of the apple juice concentrate and whisk them using an electric blender. – Add the vegetable oil, vanilla essence and raisins and blend well. – In a dry bowl, mix the whole-wheat flour, cinnamon, wheat germ and baking powder. Mix well. – Add the dry flour mixture to the wet mix and blend well. 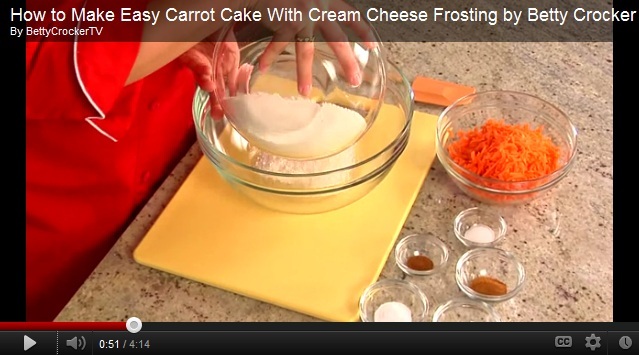 – Slowly add the cooled carrot puree and mix well to get a smooth batter. – Add the egg whites to the mix and fold gently. 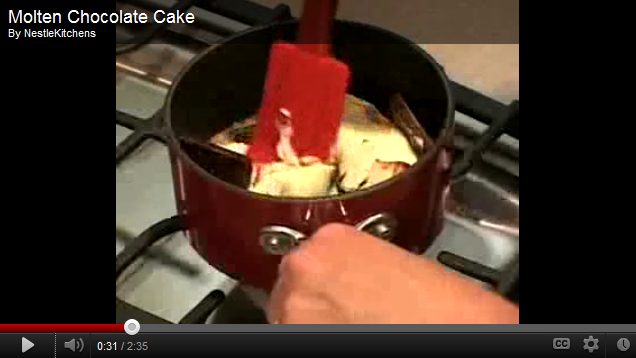 – Spray a 9-inch cake pan with a little vegetable shortening so that the cake does not stick to the bottom. – Pour the batter in the cake pan. – Bake for 35-40 minutes on 350F. – Check by inserting a knife in the center; if it comes out clean the cake is done. – Cool briefly in the pan before removing from the pan and cooling on a wire rack. Instead of the traditional cream cheese frosting, use this cashew nut frosting on the top. – Soak the cashew nuts in water for a few hours. – Drain the water and add the orange juice to the cashew nuts. – Grind them in a food processor to get a smooth paste. – Add the icing sugar and vanilla and blend for 1 more minute. – Spread on the cooled cake and enjoy! There are two things that every child’s 1st birthday cake recipes must have: it should be soft so that it is easy to chew and swallow and must look very tempting. You can make the chocolate cake recipe in different shapes and flavors, but I like to keep it simple and add lots of sweet jam. Trust me, the child’s gooey face will speak volumes for your effort. – Lightly grease a 9-inch cake pan and dust the insides with flour. Shake the excess flour out. – In a dry bowl, mix the flour, baking powder and salt and set aside. – In a separate bowl, take the eggs and sugar and whisk using an electric blender for about 5-6 minutes until you get a fluffy mix and the sugar dissolves. – In a saucepan, take the butter and milk and melt the butter then add the cocoa powder. Stir well and let the mix cool. – Add the flour mixture to the egg and sugar mix and whisk well to get an even mix. – Now slowly pour the cocoa-butter mix in the flour-egg mix in a steady stream and beat well until combined. – Pour the batter in the prepared cake pan. – Bake at 350F for about 35-40 minutes until the cake is firm on top and springy to touch. – Remove from the oven and cool in the pan for 10 minutes. – Remove from the pan and cool on a wire rack before assembling. – Slice the cooled cake in half horizontally. – Place the bottom half on a serving platter and spread a thick layer of jam over it with the help of a spatula. – Place the top half layer on top and press lightly. – Chop the chocolate in very small pieces. – Place the chocolate and the light corn syrup in a heat-proof bowl. – Bring the cream to the boil on low heat. – Pour the cream over the chocolate and let it sit for 5 minutes. – Spread the chocolate glaze on the top of the cake and let it drop down the sides. – Refrigerate for a minimum of 45 minutes before serving.